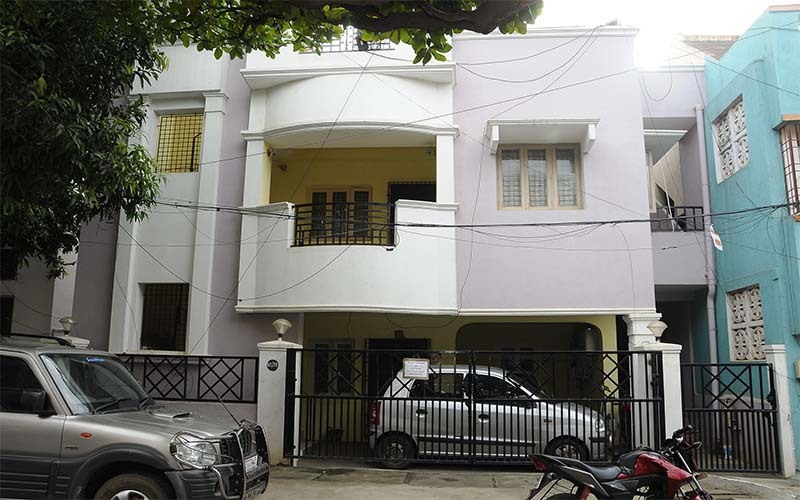 No.12/35 , Pachaiyappar salai, Mogappair East, Chennai-600037. Our Modern Service apartment located in Mogappair stands unique from near the heart of the city with the residential connect. This means, we have already got more space than a hotel room with kitchen facilities to cook your own food, but what else comes included in the package? Well, there are additional extra features that can elevate your accommodation experience to exciting new heights. 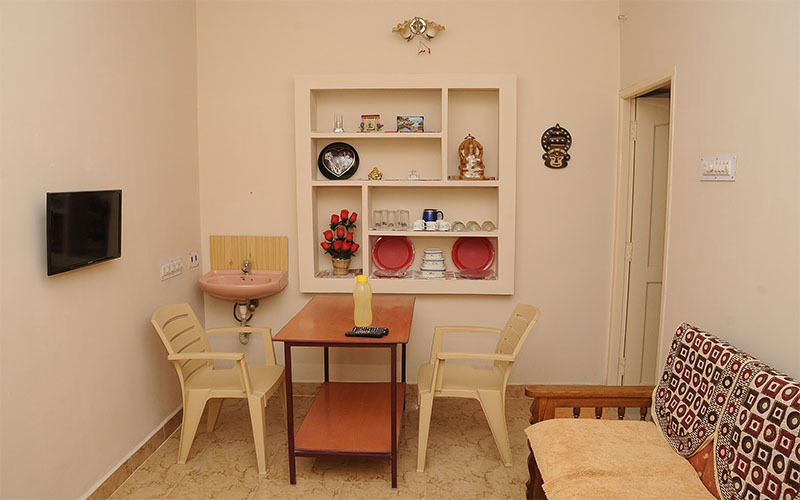 View all our featured service apartments in Mogappair, Chennai here!! Our living rooms in each apartment comes with Smart TV with LED display. We provide with Tata Sky cable TV connection for your entertainment. Our bedrooms have attached bathrooms which are well renovated with western toilets, shower and geysers providing hot water for your needs. Our Double Bedroom apartments are not just rooms with double beds. 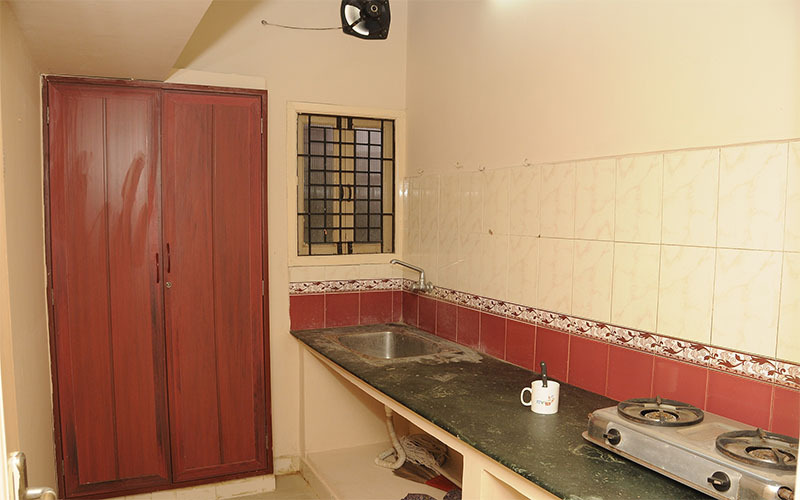 It comes with a spacious living room with Sofa, TV and Dining Table. Compared to other hotel rooms, your stay with our apartments come with double bedrooms fully furnished cupboard, cot and mattresses. We have identified increasing need for home made food for our tenants to avoid outside food from hotels to stay healthy. 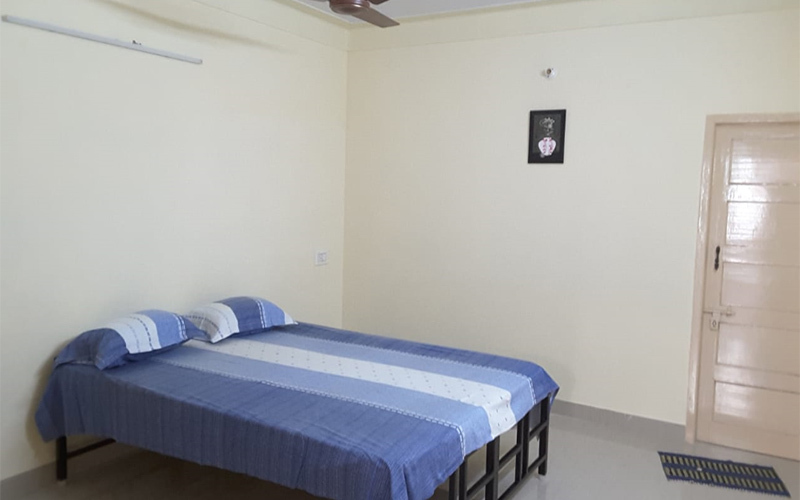 Our apartments are situated in a very good locality with Hospitals, shops, restaurants, schools, bus stand and easy access to highways. This premium Serviced apartment in Mogappair grants all the comforts of home combined with the service & luxury of a hotel. Also, a secured home-like feel is been carried throughout. The hotel is in a good location, next to shopping area and in a nice street to pick a Uber/Ola cab. The staff is very friendly, welcoming and helpful at any time of the day. That was a pleasant stay and the staff was nice and very polite and helpful. The room was clean with all good features. Five stars for cleanliness of the room and hotel. The rooms are neat and well maintained. All the staffs are well mannered, polite and very helpful. Vegetarian & Non- vegetarian restaurants at walkable distance. Hospitals & Pharmacy Madras Medical Mission at walkable distance. Within 5 Kilometers from the Service apartment in Mogappair, you can have easy accessibility on all the groceries and fresh food items. In addition to other amenities, there are banks of many ATMs within Mogappair. 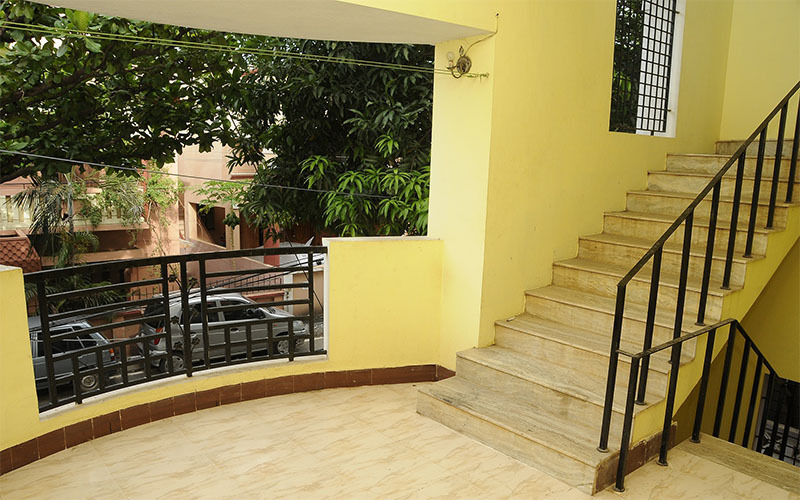 Nilgiris, Pharmacy, Cake & Cafeteria, Fruits & Vegetables & Bakery are at walkable distance. Our Serviced Apartment is vacant! 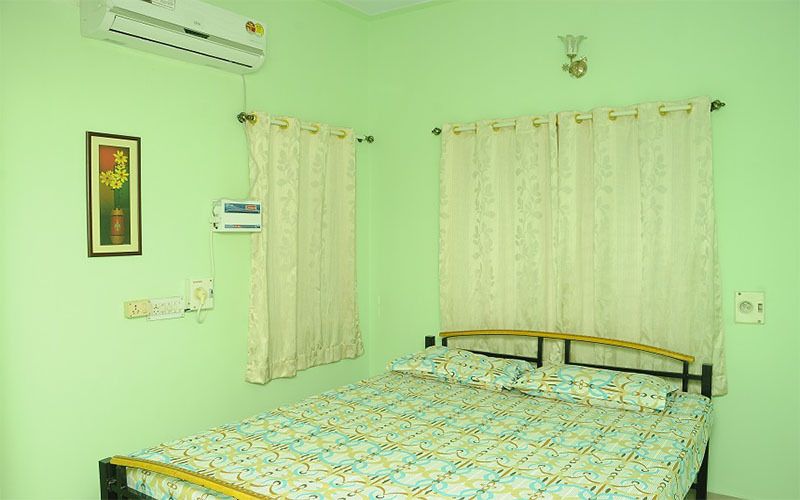 Book a serviced apartment in Chennai with us and save up /more than 40% spending on hotels.